Aerobatic superstar Sean D. Tucker will be inducted into the National Aviation Hall of Fame on July 19. Sean D. Tucker hates talking about himself. 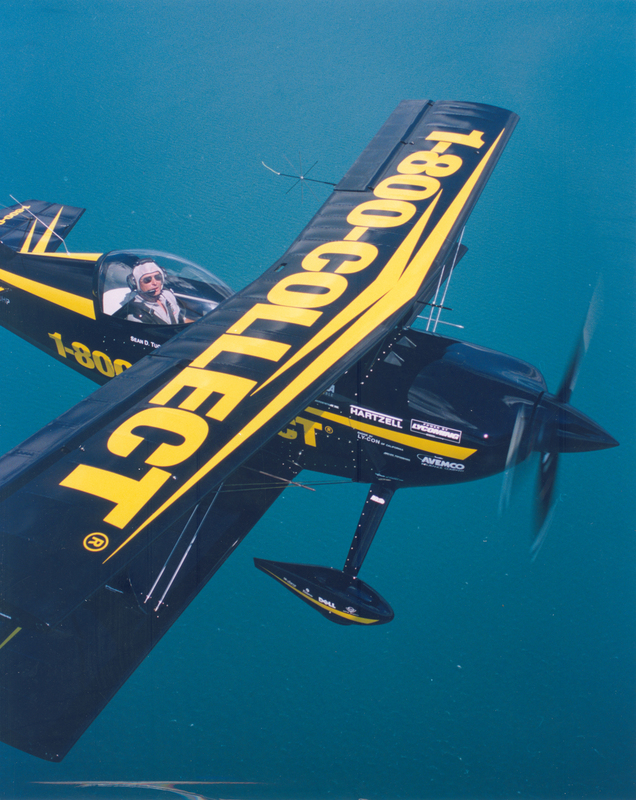 What the charismatic aerobatic superstar—who will soon be inducted into the National Aviation Hall of Fame for his accomplishments—does like to talk about, is flying. 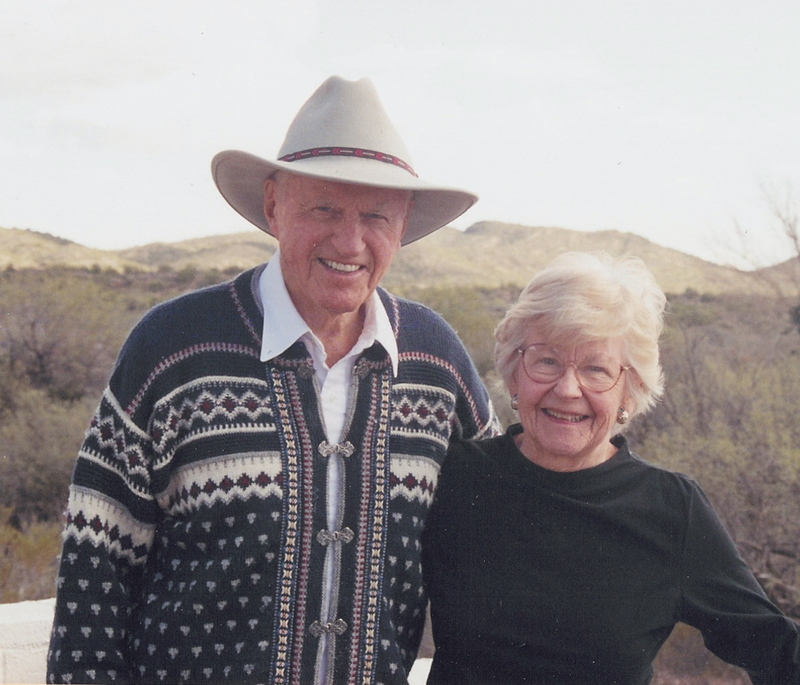 On one particular morning, two weeks before his birthday (April 27), he explains why he was so caught up with thinking about flight that he forgot a scheduled interview. The scenery in the Monterey Bay area, where he lives, is perfect for a long, reflective bike ride. “I go mountain biking up in the hills five or six days a week when I’m home,” he said. Tucker explains that his air show performances require him to be as fit as possible, and to practice, practice, practice. 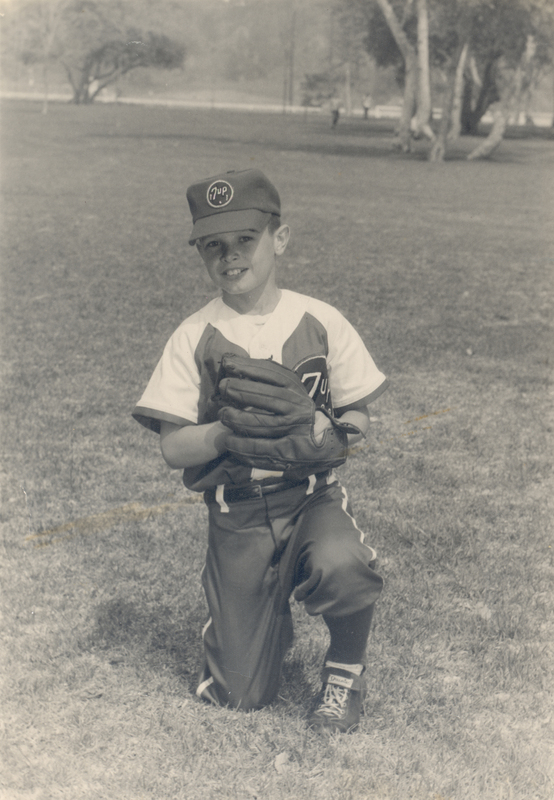 Sean Tucker, the second oldest of seven children, recalls that his father, who would become an aviation trial lawyer, often took the family for outings at Meadowlark Airport by Huntington Beach. “We’d watch airplanes land for hours and hours,” he said. Tucker’s strenuous regime, which includes weightlifting, seems a little overwhelming to some of his friends. Tucker, who has exercised six days a week for as long as he can remember, says he’s gotten more fanatical as he’s gotten older. Physically active since childhood, Sean Tucker exercises five or six days a week to stay fit for his performances. He practices his routines three times a day. 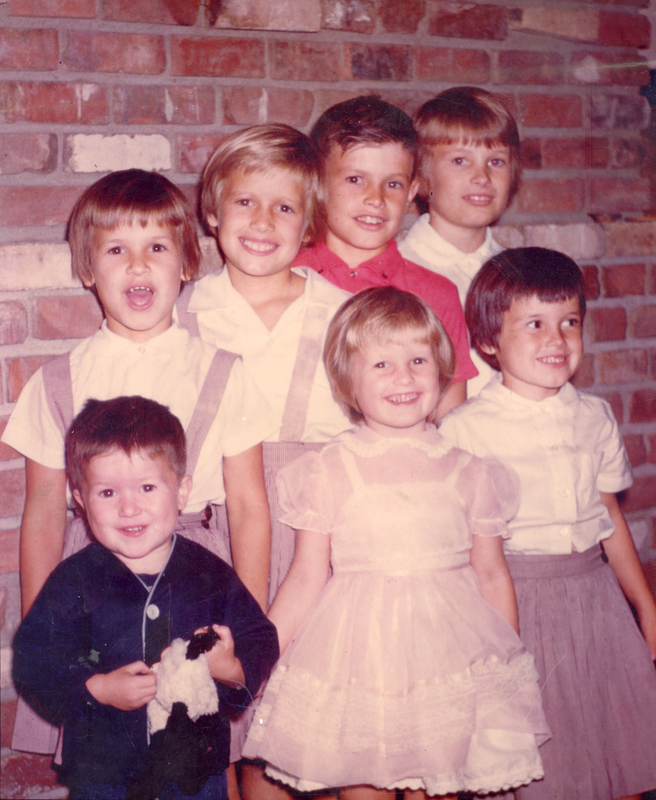 Tucker recalls that although they had very little money, their hard-working father found pleasant pastimes for him and his siblings. Once Mr. Tucker became an aviation trial lawyer, he started taking flying lessons. 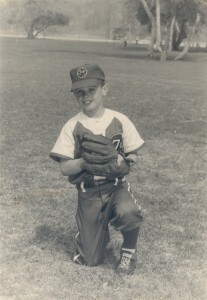 During high school, Tucker began working for his father as a file clerk. Because of his mother constantly bringing up crashes, and his father, who died eight years ago, defending them, Tucker was a “very fearful flyer.” Still, he went up with his dad when he was in his early teens. Tucker recalls that his father rented a Comanche. “He also built a Volksplane, but it never flew,” he laughed. He wasn’t the only sibling who took to the sky. While attending UC Santa Cruz, Sean became interested in crop-dusting. He loaded for a group of World War II veterans, got the opportunity to fly a Stearman and sprayed his first field in 1978. 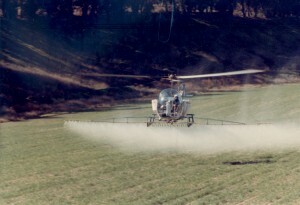 He later bought a helicopter for his crop-dusting business. 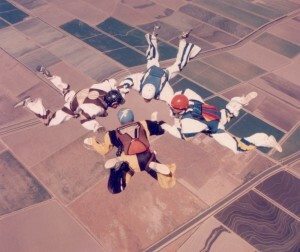 Tucker said that before he decided to take flying lessons, he attempted to delve into the world of skydiving. Still, Tucker didn’t abandon the sky. Tucker said that when he decided to work at getting a private license, fear made him dangerous. 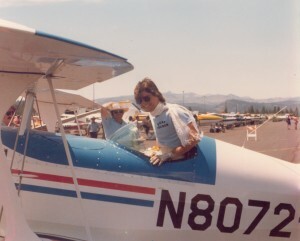 To conquer his fear, Tucker took aerobatic lessons with Amelia Reid in San Jose, Calif., at Reid-Hillview Airport (RHV). Tucker continues to be enamored with the art form. 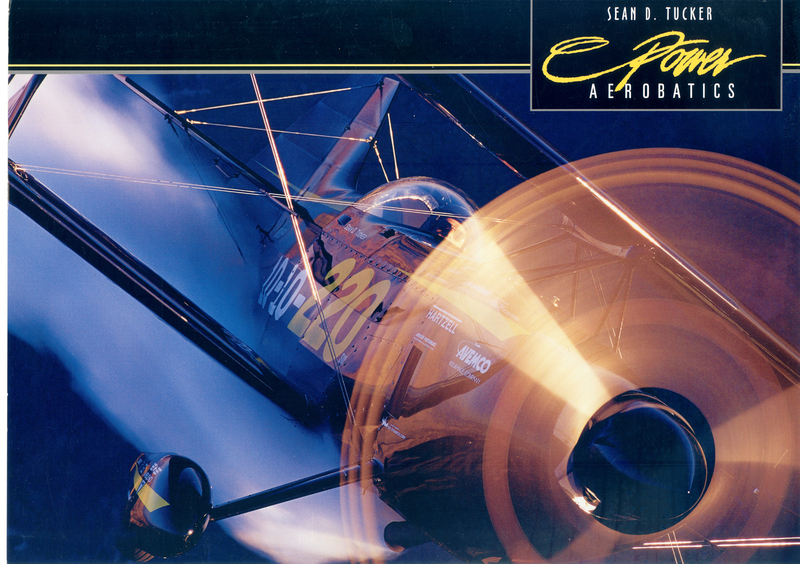 Sean Tucker’s first airplane was a Pitts S-2A he bought from Curtiss Pitts. In 1979, Sean Tucker had to bail out of his S-2A. At the time, he was attempting to beat the existing record of 13 inverted flat spins, held by Art School. Tucker did 45, but then couldn’t recover. 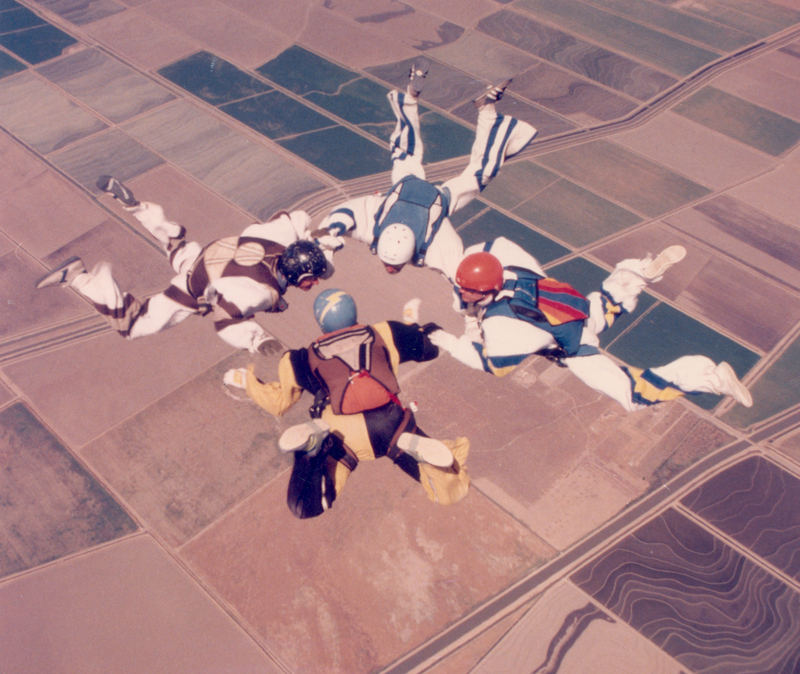 Once Tucker had taken his aerobatic course, he decided to face skydiving again. Tucker’s 10-hour aerobatic course provided him with a certificate he cherishes to this day. Tucker said he did everything he could to get money to fly. “I’d beg, borrow and steal, and I got student loans, and just did nothing but fly those airplanes,” he said. A weld break in flight forced Sean Tucker to bail out of his S-1C, which had replaced his S-2A. 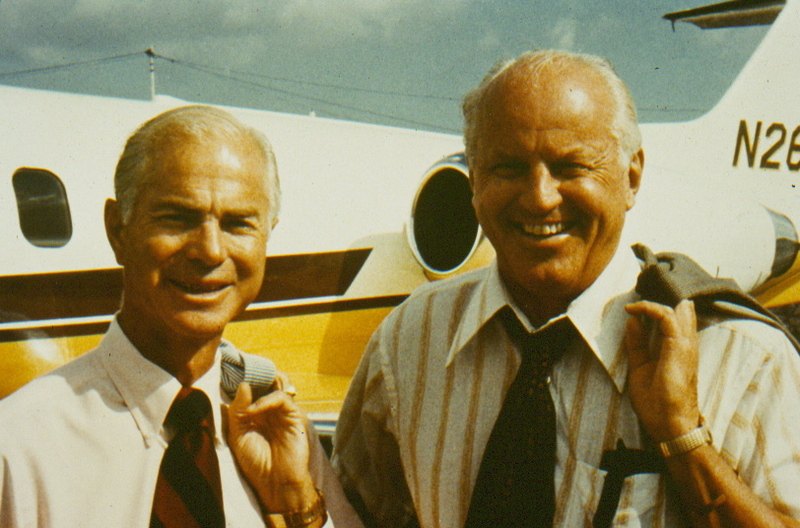 In 1985, he acquired an S-2S. 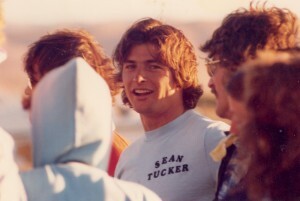 In 1973, while attending junior college in Santa Cruz, Tucker put up ads to take people on aerobatic thrill rides. Although Tucker went to UC Santa Cruz with the aim of being a lawyer, he said that didn’t quite work out. 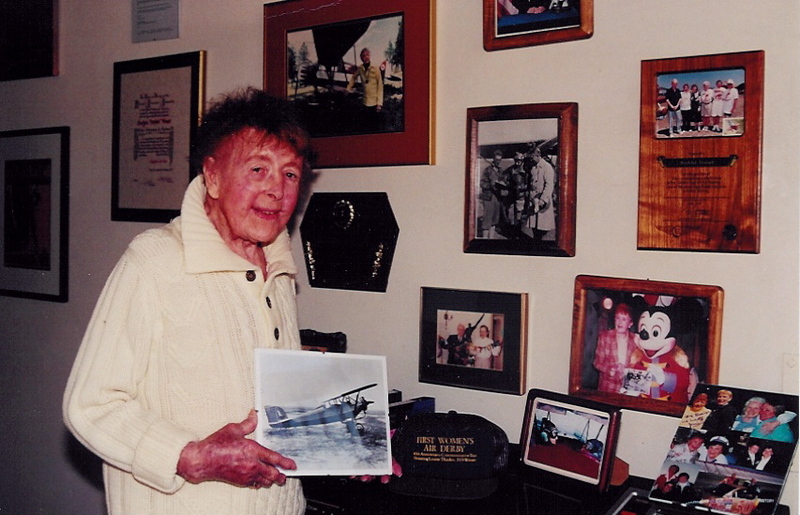 “I fell in love with these World War II guys and the way they fly,” he said. Tucker was four classes away from graduating with a sociology degree when he had an opportunity to fly a Stearman. 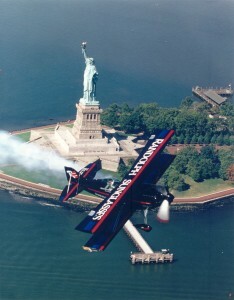 After becoming the U.S. National Advanced Aerobatic Champion in 1988, Sean Tucker committed himself seriously to being a full-time air show flyer. In those days, while unsponsored, he performed in more than 30 air shows a year. 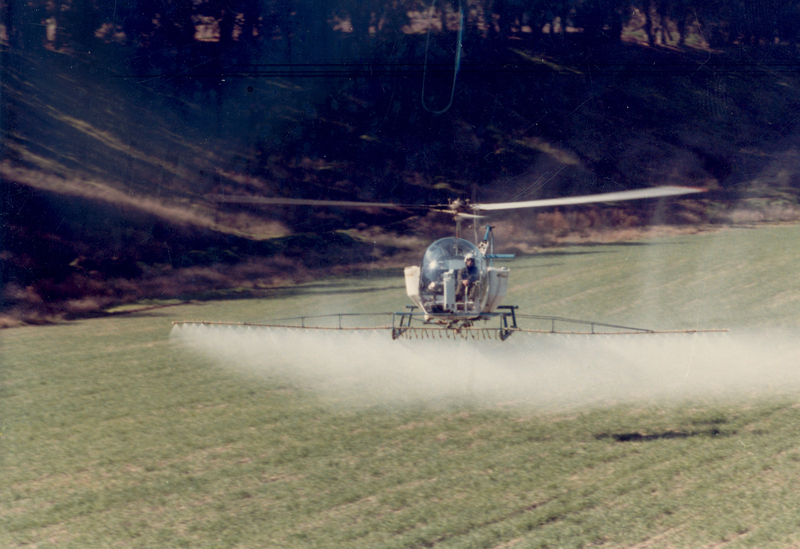 Tucker didn’t spray his first field until 1978. By then, he’d already flown his first air show and gotten married. Tucker said that since he’d participated in his first show in 1976, a year before he got married, it wasn’t a surprise to his new in-laws. 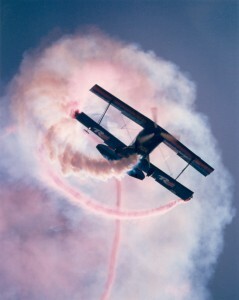 Tucker said that making money crop-dusting interrupted his “bad habit of aerobatic flight.” But, looking back, he confessed that he hadn’t yet gotten to the point of being a very good air show pilot. 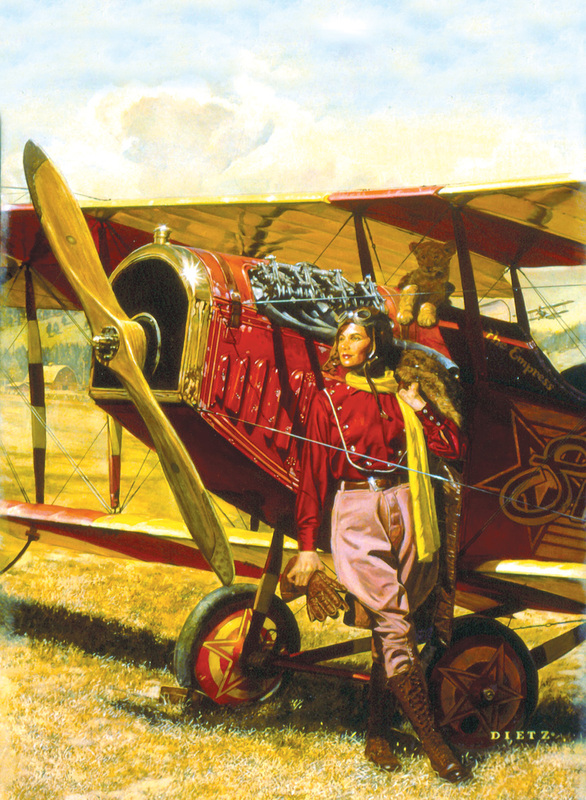 Tucker fondly recalls his first airplane, a Pitts S-2A. After being on the air show circuit for three or four years, Sean Tucker got his first national sponsorship: Randolph Sunglasses. In 1979, after “abusing” his flying privileges, Tucker had to bail out of his S-2A. 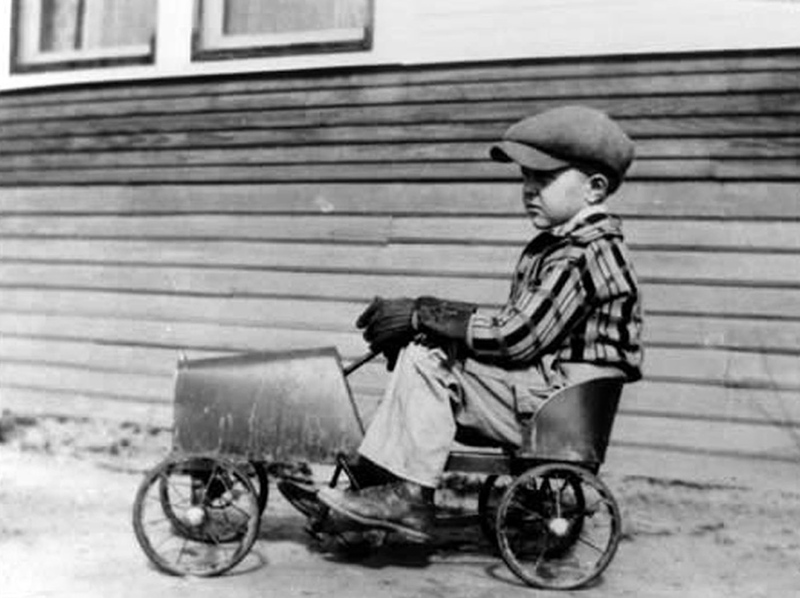 Tucker said that after that day, he looked at his future and it wasn’t very good. For a while, Tucker didn’t buy another aerobatic airplane. “I had to support a family and buy a house before I could go live my dream again, because I made a commitment to another human being,” he said. When he decided it was time to re-enter the arena, he bought a Pitts S-1C from a crop-duster in Maryland. The sponsorship of Randolph Sunglasses of about $150,000 allowed Sean Tucker to support his family and be a full-time professional. A year later, in 1985, Tucker spent $32,000 on an S-2S. 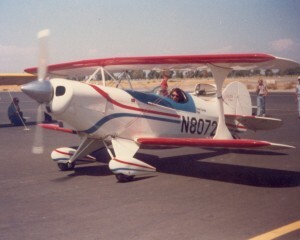 After buying the S-2S, Tucker informed Wayne Handley, an air show performer he worked with who also had a Pitts, that he was going to enter an aerobatic competition. 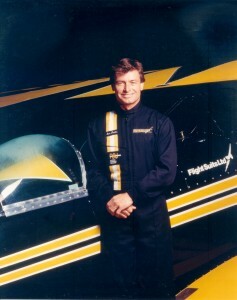 Tucker worked earnestly, becoming the U.S. National Advanced Aerobatic Champion in 1988. 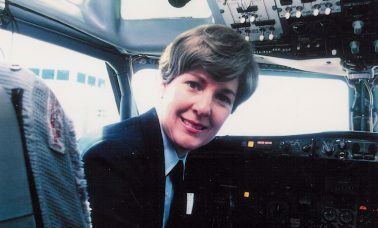 In those days, Tucker performed in more than 30 air shows a year. “I wasn’t sponsored, and it took that much to make it pay for itself when I was still crop-dusting full time,” he said. Sean Tucker colors the sky in one of his spectacular performances. 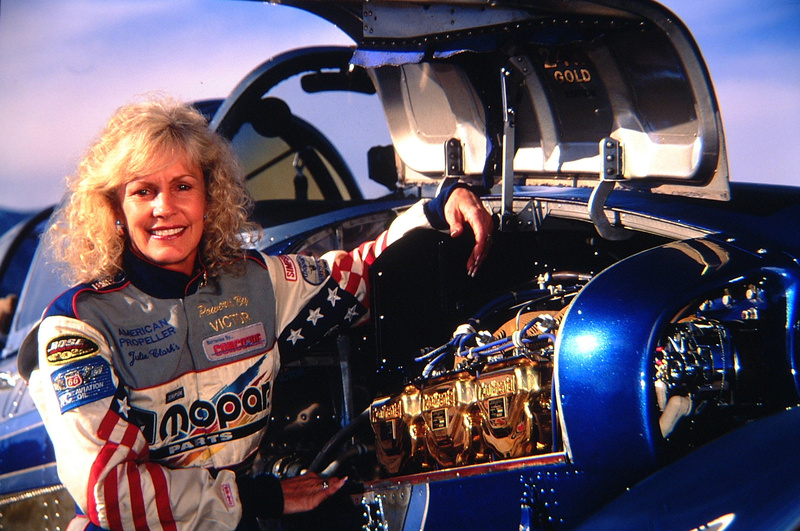 The first sponsorship Tucker obtained was from Lycoming, which agreed to be his engine sponsor. 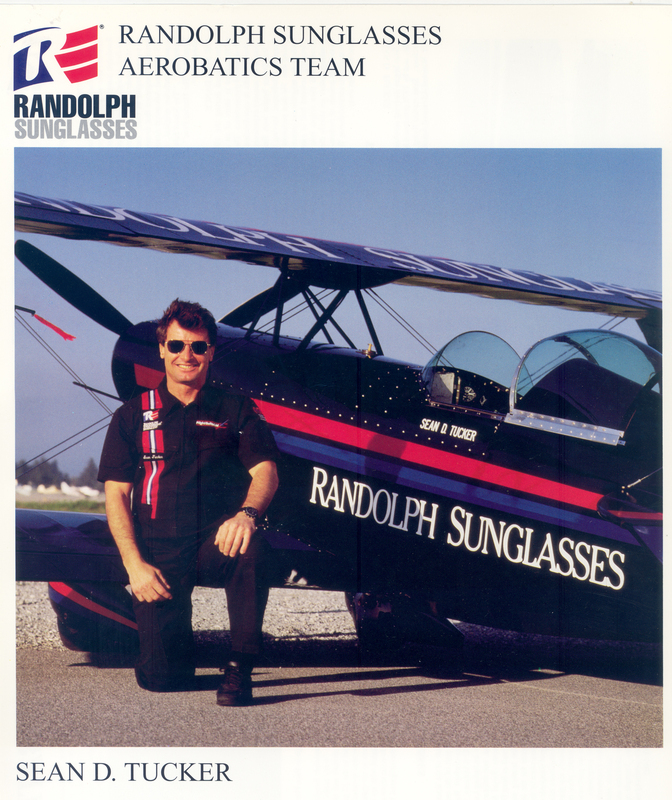 The sponsorship of Randolph Sunglasses of about $150,000 allowed him to support his family. Randolph Sunglasses sponsored him for a couple of years, followed by MCI. 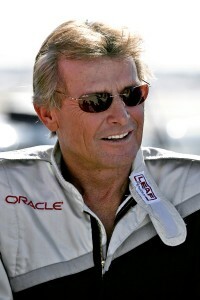 Tucker said the timing couldn’t have been better for his next sponsor, Oracle Corporation. After being sponsored by Randolph Sunglasses for a couple of years, Sean Tucker developed a partnership with MCI that lasted about four years. 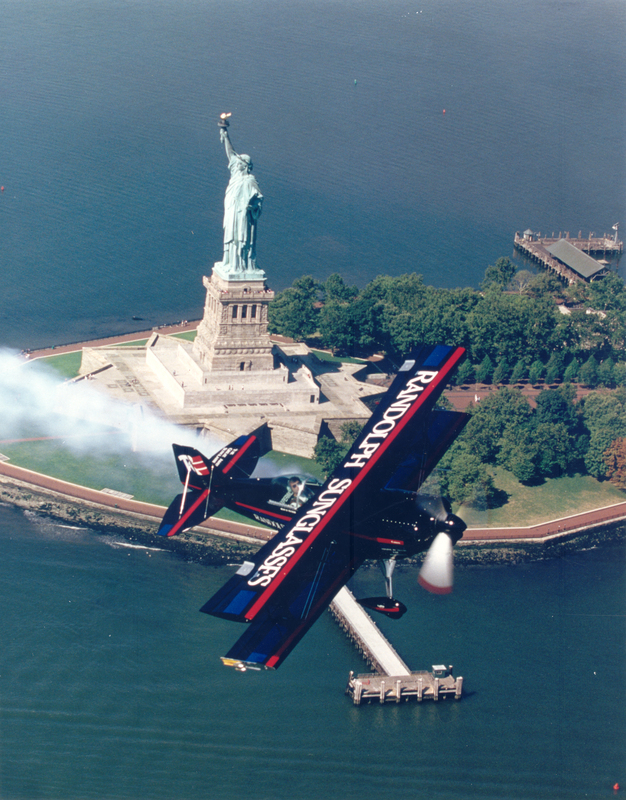 In 1992, Tucker became the first aerobatic performer to receive the Art Scholl Memorial Showmanship Award and the Bill Barber Award for Air Show Showmanship—the two most prestigious awards in the air show industry—in the same year. 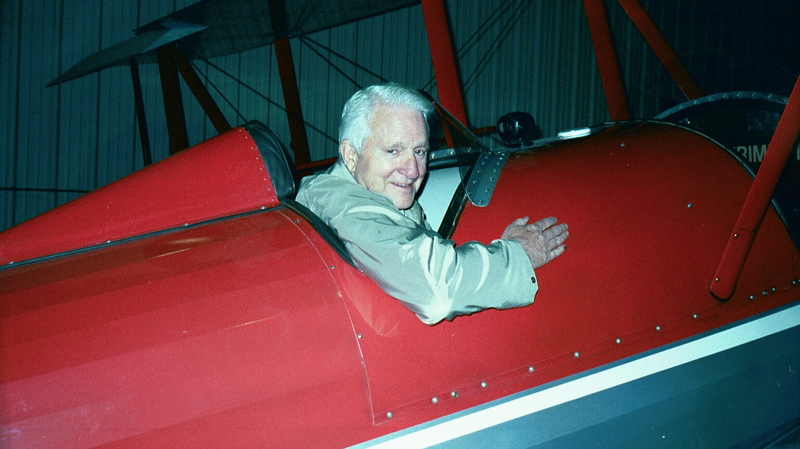 Four years later, in 1996, he bought an aircraft he would fly for the next 10 years. 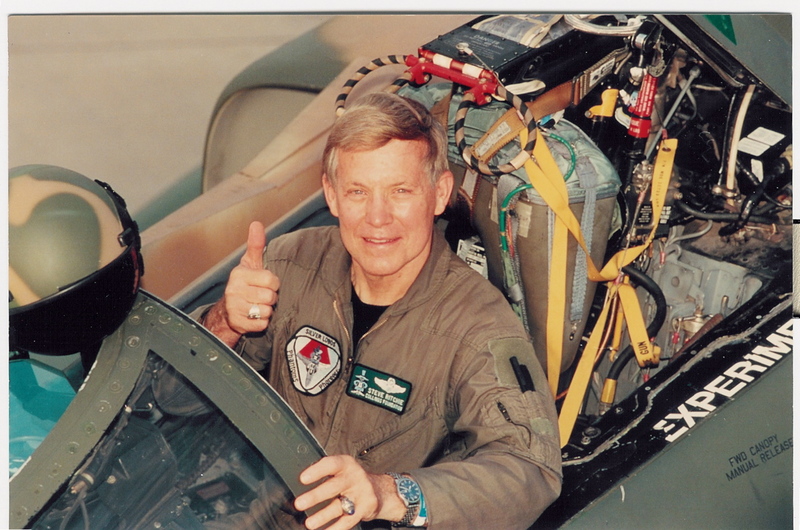 He explained the process that resulted in the aircraft he flew to stardom: the Oracle Challenger. “First, you start with something that works and then you start adding on,” he said. 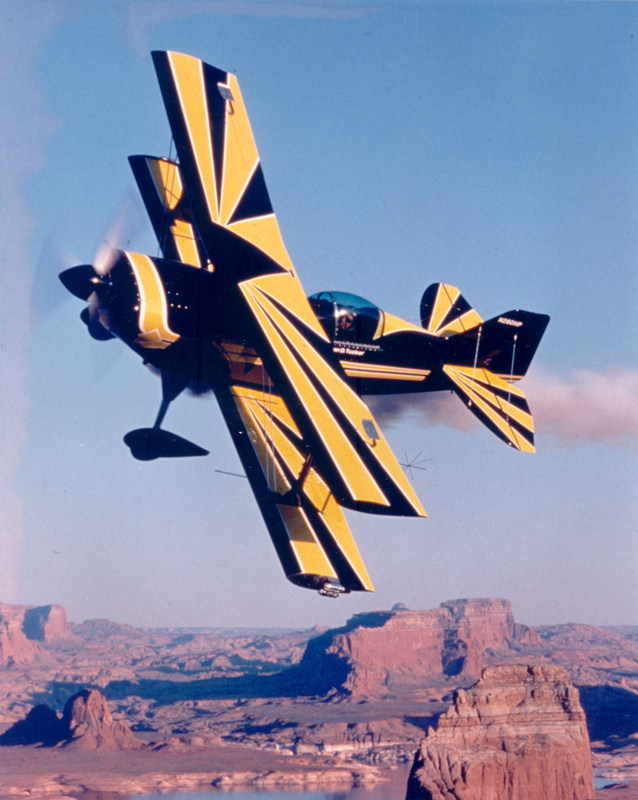 “The Pitts design was a great design. I’m the flying guy. I’m not the smart guy, but I have access to some of the best. The effort’s a collaboration of some great designers, great builders, and I get my input as a flyer. While with MCI, Sean Tucker’s sponsorship went from $350,000 to $650,000. 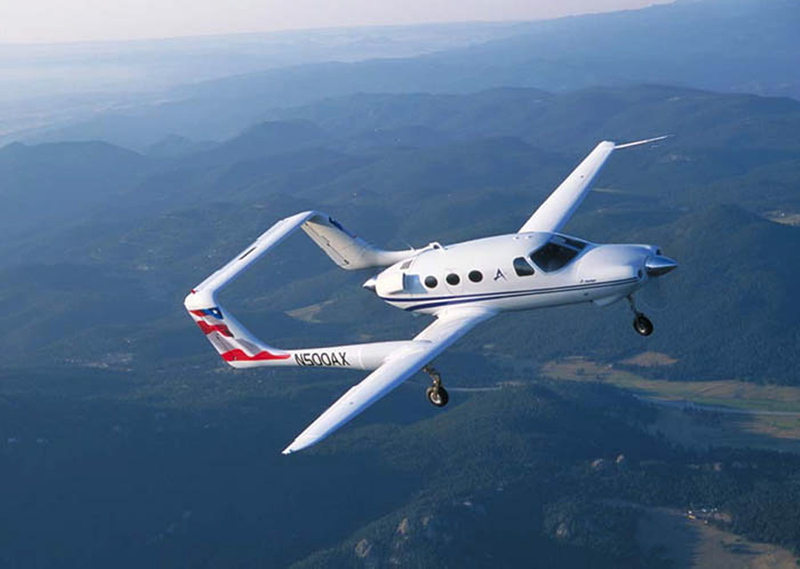 The tail on the airplane was modeled after the tail used on high-performance remote control airplanes. The job of making the plane constantly better and faster goes to his quality assurance person. A 380-hp Lycoming engine turning a Hartzell three-blade propeller powered the 1,129-lb. Oracle Challenger, capable of a top speed of 300 and flying backwards at 100. Tucker was measured so the plane could be built around him. The skin was composed of lightweight fabric similar to sail cloth, allowing Tucker to feel the wind. The biplanes’ wings were wired for smoke generators and pyrotechnics. 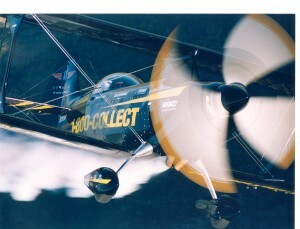 A camera that could be mounted on any of the four wingtips provided a bird’s eye view of the pilot’s aerobatic maneuvers. His intense “Sky Dances” required that the engine and wings be rebuilt at the end of each season. 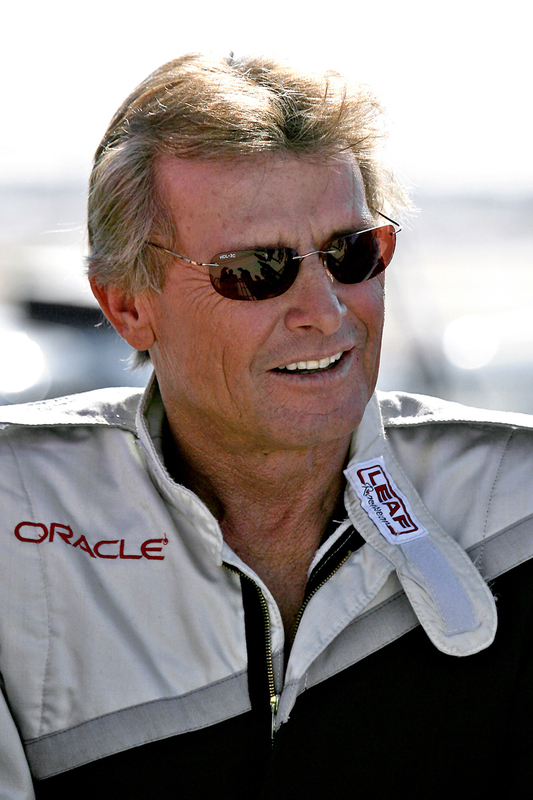 Tucker said the Oracle Challenger was just getting broken in when he had mechanical trouble on the way to Sun ‘n Fun in April 2006. 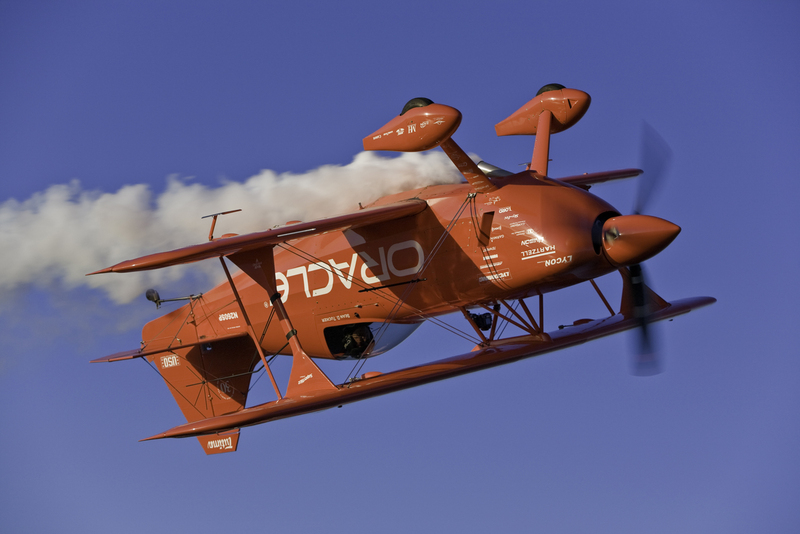 Sean Tucker blazes through the sky in the 10-10-220 Challenger. Tucker recalls that he was practicing 10 to 15 feet off the ground, over a swamp area, when he had a mechanical failure. But Tucker was fortunate that the problem happened while in a pull. As Sean Tucker was finishing his commitments to MCI, Oracle approached him. Tucker and Larry Ellison made an agreement, leading to a long-term relationship that continues today. Once he got through 1,000 feet, he was able to breathe a sigh of relief. Tucker’s intent was to try to slow the aircraft down. After 12 to 15 minutes of that, Tucker knew it wasn’t going to work. 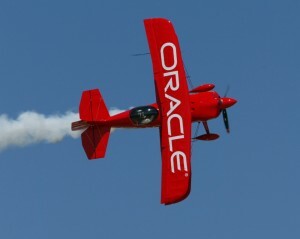 According to Sean Tucker, the Oracle Challenger is a collaboration of some great designers and builders, but he gets his input as a flyer. “The goal was to have this biplane have just as much performance as the new state-of-the-art monoplanes,” he said. After being directed to a certain farmer’s field, Tucker headed in that direction. When he finally got down to three gallons of gas, it was time. To be continued in the August issue.